I have been busy working away on my little girl’s bedroom since we moved into our new rental house a few months ago. You may have seen on Insta this picture of my inspiration colors. Well, I am happy to report I am nearly done which I think is an all time speed record for me. Today I am sharing the first of a handful of projects for my girl’s room. 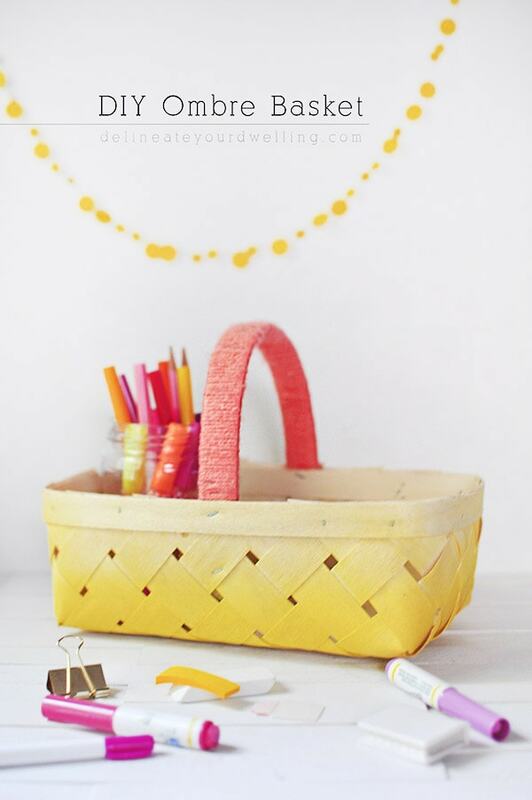 Today, I am sharing her little art DIY Ombre Basket. 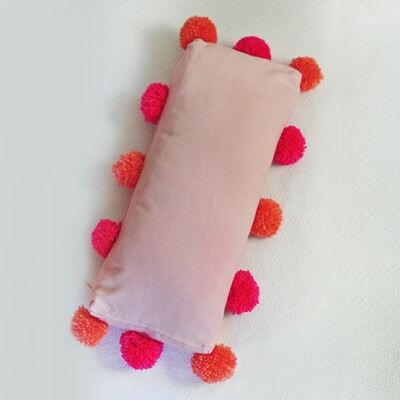 I wish every DIY I made could be this simple! 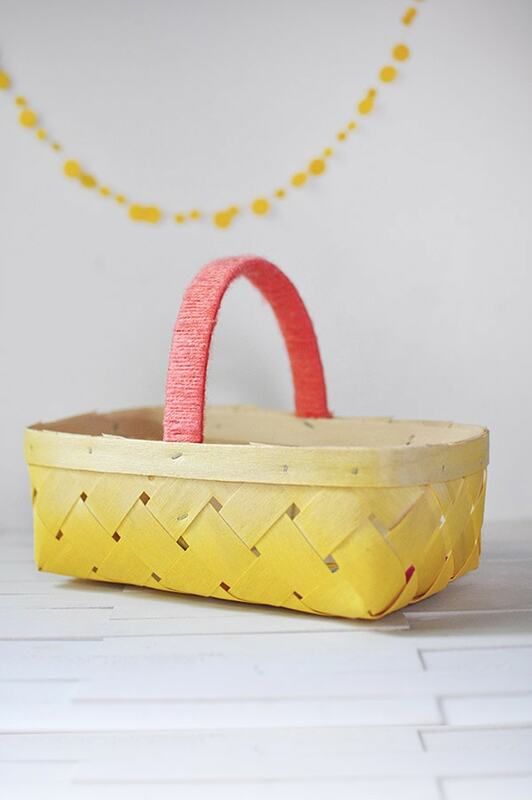 Take your basket outside and set on a painting cloth. To create the ombre effect, I simply sprayed the bottom completely yellow and then did one or two LIGHT coats across all four sides. The effect is simple, easy and quite lovely I think. 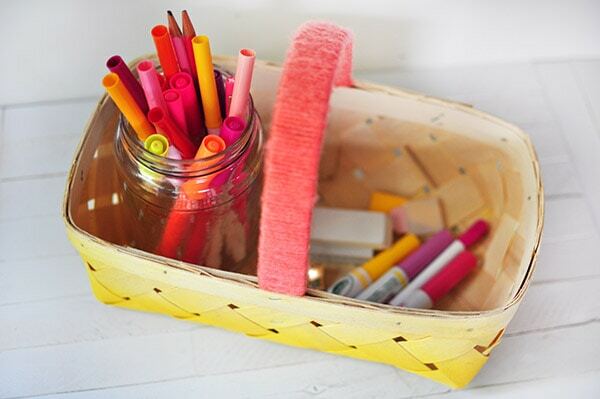 The handle of this basket was pretty rough to the touch and since it will be holding art supplies for my four year old, I wanted to protect her cute little fingers. I ended up wrapping the handle with a cheerful coral yarn I had just bought for another project in her room. I started out by hot gluing the end of the yarn to the inside of the basket handle. Then, I slowly wrapped the yarn around and every 1″ or so applied a small dab of glue to keep everything in place. 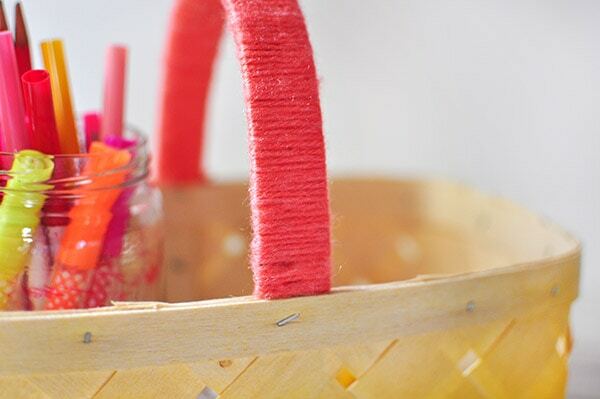 The end result was a perfectly safe and adorable coral basket handle! 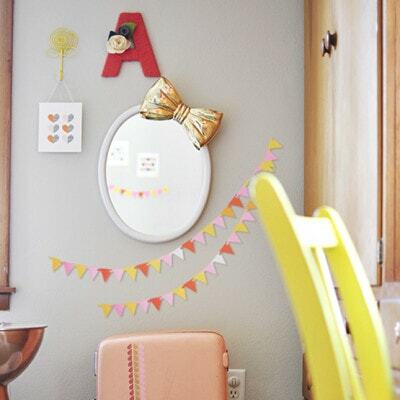 In our previous home, my little girl and boy shared a room so they are quite excited to finally have their own spaces, with their favorite colors and personalities shining through. And… now I kind of want to keep this fun basket for myself! 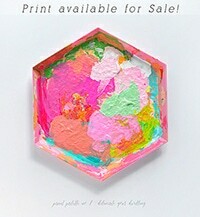 Have you tried the ombre effect on any of your DIYs? If you’d like to see other fun DIYs from my daughter’s new bedroom, check out below! I love the little basket. I also am a big fan of yellow. Aw, thanks Deedra! I’m kind of loving the yellow, too. Aw, thanks so much Mila! So cute, Amy! The color combo is spot on! 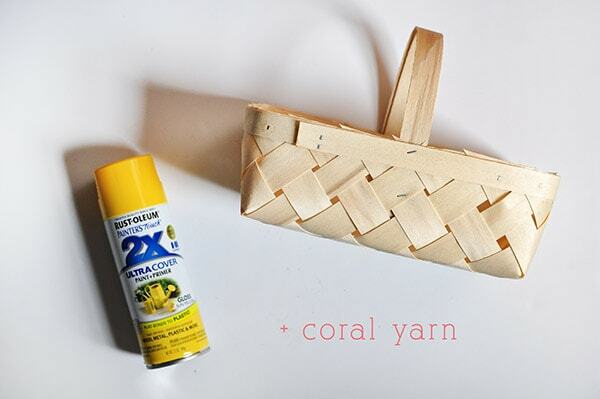 I love the idea that you cover the handle with yarn. It looks neat. Love it! gorgeous! I love how the ombre looks in yellow! Love this so much! The wrapped handle is the perfect accent! Thanks, Sarah! I kept thinking I should keep it all yellow for the handle, but I really like how the pop of coral turned out! Long live ombre – seriously it makes everything sooo good! 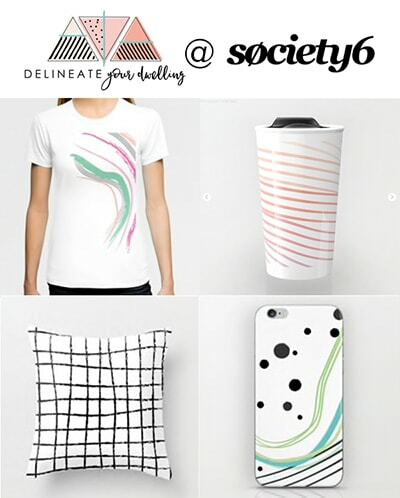 Love these colors, too! 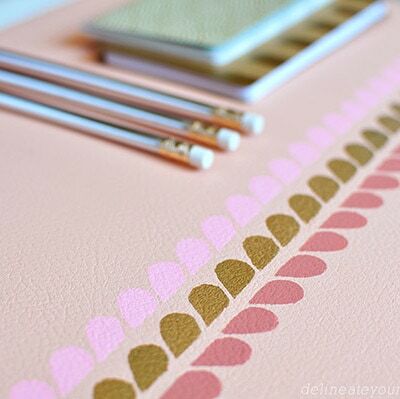 Love the color combo – so cheerful! Ah such a little teaser! I can’t wait to see the full reveal! Love, love , love this! The colors are so fresh and fun!